Having a successful AI project is as much about the culture and your people as it is about the technology or capability you have access to. 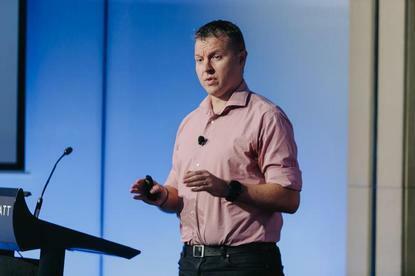 That’s the view of Carsales CIO, Jason Blackman, who took the stage at the recent CMO-CIO Executive Connections event in Melbourne to share how the ASX-listed group was able to bring artificial intelligence into the business not only to solve a business problem, but also deliver a raft of customer experience benefits. “Having a culture of innovation in your business is important because not just one team does AI. The worst possible outcome for us is to have a team in one corner doing all the cool stuff and the rest of the organisation just watched from the sidelines,” he told attendees. The 22-year old, digitally native ASX-listed group operates not only in Australia but across a number of South American and Asian markets, with 1300 staff worldwide. Alongside the core classifieds business, Carsales provides software-as-a-service tools into dealerships, insurance and finance companies. In the initial stages, AI was brought in to automate image recognition. The problem related to Carsales’ team of photographers, who take photos of motor vehicles and catalogue these for an image library. These images are supplied to third parties as well as used on the classifieds site. This team was taking about 6000 images per day, then taking 30 minutes per day to classify and tag up those images. While the team made it as easy as possible to tag images, 9000 hours of labour each year was clearly still an issue. Using AI to solve it came out of a company hackathon in 2016, where a team created a proof-of-concept in three days. Helpfully, Carsales had stored every image ever uploaded to its site – millions of them – giving it 10 years’ worth of data to train the AI with. The problem was the training set took 40 weeks using existing equipment to learn and then do the work. “We moved entirely to the cloud, brought that training down to three weeks, and we’ve progressed further with incremental training sets now,” Blackman said. As a result, AI has removed those man hours and fulfilled its mandate. Importantly, however, was the customer side effect. “Customers are uploading 100,000s of photos per week as well. We then used the exact model and apply to every photo uploaded to the Carsales website, thereby improving the user experience,” he said. “When you choose to sell your motor vehicle, you choose in which order to upload those photos and best market your vehicle. The problem is that when you come to compare cars as a buyer, I want those photos to be in a specific order, such that I can see the boots are aligned, steering wheels, and so on. The second customer benefit came from the learnings Carsales could provide car sellers about how to improve their chances of sales success. “This enabled us to start coming into the sell process and say ‘hey, we know we need photos of the passenger seat, odometer and boot as they’re all things that help you buy and sell your vehicle. We’re able to identify because we are tagging the photos, and could advise the customers around that element of customisation,” Blackman said. Initially, Carsales experienced major problems with accuracy, a result of poorer data sources as well as some misclassification. However today, accuracy is up to 98 per cent. “We can also crowdsource the reinforcement learnings, because we’re able to push out to customers and say we think it’s X, are we right? We can then get them to narrow it down further, enabling us to continuously evolve the model for us,” Blackman said. Another win was that the AI simply integrated via APIs and therefore slotted straight into the sell funnel. “When we get the images, we fire off, get the answer back and display to the use. That gave us an ability to deliver immediate customer impact, and create huge savings for the business,” Blackman said. But while the AI was simple to deploy, getting to the point where Carsales could use these capabilities is a much longer story. As Blackman pointed out, back in 2012, the company had monolithic applications, was lucky to do 150 technology deployments annually, lack a unified data centre approach and wasn’t using any cloud capability. There was also the absence of an innovation culture. Work since then to transition to a single data centre and build a cloud native approach allowed the IT team to create a microservices-based architecture. This was what enabled it to deliver AI relatively easily while still ensuring it was integrated into core platforms. Another key ingredient has been culture. In the last six years, Carsales has reoriented to a customer-centric structure, a move that created autonomous teams responsible for specific customer segments. Each team owns the products they deliver to customers end-to-end, for example, and are accountable via team-based business metrics. Importantly, this has seen marketing sitting with technologists, allowing for more frictionless customer experiences to evolve, Blackman said. The next stage for Carsales is how to improve user experiences through the funnel. “One thing we started doing was using that learned outcome from the imagery to accurately identify the vehicle based on photos that you’ve taken. We can take your photos upfront, then use AI to accurately identify which model of that car you’re trying to sell. This ensure you don’t end up with a bad experience further down the track where a buyer turns up, thinking it’s a 2018 model but you have the 2017,” he said. Carsales is also looking at enhanced vehicle identification. “We’ve got a HD camera sitting on our balcony at our building in Punt Road in Melbourne, which sees 30,000 cars per day and can recognise the number plate, model of car, and frequency it travels. We can then collate this with other data we have in the business and identify a whole lot more about that car and individual,” Blackman said. Which is leads to what Blackman called a “conundrum with regards to AI”: Ethics. “Just because you can, doesn’t mean you should,” he cautioned. “One of our hackathons teams picked up on this and said we could scour Facebook for our 6.5 million members active each year in Australia, identify their gender, ethnic origins, age and things like that, just from the profile photos. We canned the project pretty quickly as it’s not something we want to get into, because our moral compass is pointing in the right direction. For Blackman, what will help Carsales steer the right course is focusing on things that deliver consumers a benefit. One of these is fraud detection. “When people are buying and selling cars, there is a lot of fraud. We pride ourselves at Carsales for getting on the front foot of that and ensures no one hands over their details to a sergeant major of an oil rig off the south coast of Nigeria,” he said. Blackman also warned AI is not a unicorn, or the answer to everything. “The other thing is you need to find data solutions first and if possible, see if there are cheaper options. For us, it was about automating that repetitive work.